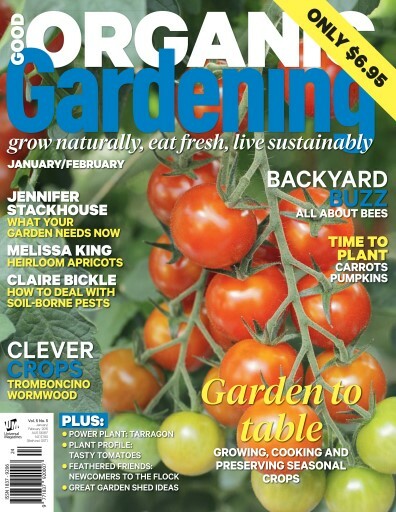 It’s an informative bumper issue of Good Organic Gardening to welcome the New Year. 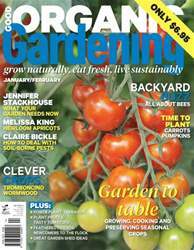 Jennifer Stackhouse tells how to keep it cool but still successful in these two hot months and states why she considers tromboncino zucchini and wormwood clever crops. Melissa King talks about varieties of apricot and explains how to plant two favourites: carrots and pumpkins. And Claire Bickle has some organic solutions for when things go wrong in soil. We also have an extra-special feature on bees; Jo Immig discusses our disappearing pollinators, and apiarist John Scott reveals the fascinating habits and lifecycle of these buzzing insects. You can also discover how to grow, harvest, store, preserve and cook pineapple, snow peas and celery, and we give you the low-down on using seaweed in the kitchen.